Bitcoin and cryptocurrency in general seem to appeal greatly to people who are interested in making money online, so it is perhaps no surprise that an article on bitcoin affiliate programs has proven to be one of my most popular. But its been a while since I published that post, and things change very rapidly in this space with companies popping up and others disappearing on a regular basis. As a result, my old post was starting to look a little dated and rather than keeping on firefighting trying to change stale links I have decided to start from scratch with a new posts. This also allows me to widen the scope a bit and cover crypto affiliate programs in general rather than purely Bitcoin. I hope you find this list useful and if you know of any others that are worthwhile for other readers to take a look at then please do let us all know about them in the comments section below! A good way to earn referral fees in cryptos other than Bitcoin is to promote airdrops and ICOs. If you don’t mind the uncertainty of getting paid in new tokens with unproven value you can enjoy some high payouts from this. EarnDrop – This site has regular campaigns where you can earn tokens for various tasks, but also allows you to earn by referring other users to the site. Buzzin.com – Similar to EarnDrop, this site also pays you for various tasks relating to ICOs looking to promote themselves, and also pays for referring other users to do the same. ICOBountyHunt – Another bounty list which also allows you to see the specific tasks, including referrals. Many crypto exchanges have referral programs so this can be a great place to start. They are also a good if you can create content to put online which introduces new users to crypto and then tell them where to go to get started. Ethermium At 50% commission this equals the best paying exchange referral programs, and if you have an audience interested in decentralization then the fact that they are the first decentralized exchange to include ‘Market’ and ‘stop-limit’ orders means that you have someting genuinely different and interested to use for recommending it. 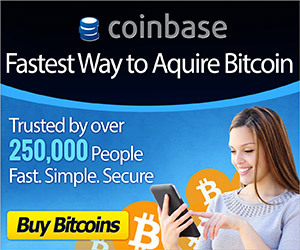 Coinbase – A great place to refer newbies and also a generous referral payout. You get $10 for every person who buys $10 or more of crypto. Compared to other programs which pay out a percentage of fees this may mean that your longer term earnings are capped, but it does mean that you can get a significant amount coming in very rapidly which is nice. Binance – An incredibly popular exchange among crypto traders, and a very generous percentage 20% payout which you can increase even further to 40% by holding BNB coins in your account. XCoins – This exchange allows you to get Bitcoin very quickly, including using Paypal as a payment method. At up to 50% the affiliate payouts are very, very generous too. LocalBitcoins – A long running peer-to-peer exchange with a pretty nice referral program paying 20%. If you can refer someone looking to make money as a pro trader this can really add up to a lot. Changelly – 50% revenue share for life from the instant exchange of pretty much any crypto. Instant exchange is a value added service so although the fees are still quite low, they can be higher than other exchanges meaning more of a cut for you as well. Coinmama – Refer people to buy Bitcoin and Ethereum with a credit card and earn 15% on the fees that they pay. Faucet sites giving away free coins are always popular and can attract a lot of users. Although your earnings per referral will not be very high, a lifelong cut of user’s claims means that you can build up a nice income over time. Freebitco.in – This is easily my favourite faucet affiliate program because in addition to the actual faucet itself, they also pay daily interest on balances held with them and have other games such as ‘multiply BTC’ high-/low gambling – and you get a cut from both of these as well. This really helps to boost your potential income. SatoshiQuiz – This is a kind of faucet site but with a fun twist – higher payments but you have to answer a quiz question faster than other users to claim the prize! Whaleclub – Use your crypto to trade global financial markets like forex and commodities, as well as cryptocurrency markets, with up to 200 times leverage and some other really nice features like turbo trading. Pays you 50% on all fees plus a 25% bonus on the first deposit of anyone you send to them. Cryptotrader – This trading bot marketplace has loads of different strategies and bots to choose from and pays affiliates 10% of every purchase. Payouts are automated. Haasonline – A highly configurable trading bot which also pays 10% referral commision on every purchase. Bitbond – This BTC crowdlending platform pays you commission on the fees earned by either borrowers or lenders which you refer to them. CoinTracking – Offer people a 10% discount on a leading crypto portfolio tracking and analysis platform which includes things like profit / loss reports and tax assistance and earn 20% on every purchase. TradingView – This advanced charting platform pays you 30% on every referral who upgrades to a pro account to take advantage of the full range of tools available on the site. Purse.io – This service allows users to shop on Amazon and save money at the same time, or to buy Bitcoin using a credit / debit card by making Amazon purchase on behalf of other users. The affiliate program pays 25% of all fees as a commission. 999dice is my personal favourite of the classic Bitcoin dice type sites, and also pays you commissions in DOGE, ETH and LTC for bets placed in those currencies. You get 50% of the house edge on all bets. There are many other Bitcoin casinos with referral programs in place, including top sites like BitCasino, Betcoin and Betchain. Genesis Mining allow you to offer a 3% discount on cloud mining contracts to your referrals and pay you from 2.5% with higher tiers for top performers. HashFlare offers a 10% commission on its cloud mining contracts. BitMedia is a banner ad network with a 10% revenue share for affiliate partners. A-Ads is an anonymous BTC ad network which has its own referral program and also runs affiliate programs for other companies. RunCPA has a wide range of crypto affiliate programs with excellent commisions, including every type of campaign and many different types of business – even ICOs looking to increase awareness among investors. Big ICO is a great affiliate network service which includes a wide variety of programs including wallets, exchanges, and also ICOs. SpicyOffers has some high paying CPA offers with payouts up to $500.